Is there any type of loan program available to refinance an upside down home loan mortgage? Is there any type of loan program available to refinance an upside down home loan mortgage? I owe more than my house is worth and need mortgage help! millions of americans owe heir home than it is worth. you are certainly not alone in this situation. due to the downturn in the mortgage industry, many people are find themselves in the same situation. the most vulnerable people are those who bought their homes at the peak of the market, in 2005-2007. whether they want to sell their home or wish to refinance and take advantage of today’s low rates, they are finding few available options. bills.com makes it easy to compare mortgage offers and different loan types. please visit the bills.com mortgage refinance quote page to find a loan that meets your needs. an experienced mortgage professional can tell you whether you qualify for a loan. also, if you do not qualify, he can explain you why and give you specific suggestions about steps to take to improve your chances of qualifying for a loan. visit the home affordable refinance program web site to see if you qualify for this program. in general, mortgage providers have been slow to embrace this program. however, homeowners who have convinced their mortgage companies to renegotiate the terms of their mortgages are seeing lower payments. investigate the fha short refinance program, which is designed to help homeowners with negative equity in their homes to refinance to a lower interest rate and reduced balance. try and sell your house at the best possible price. visit your nearest assist-2-sell realtor and get your house on the market immediately. sell it for what is left on your mortgage. you'll make no money, but you will be out from under the huge debt. by using an assist-2-sell realtor, you do a lot of the work yourself that is involved in selling your home. they simply assist you and guide you through the maze. find a place to rent for at least a year (maybe two) until you can get on your feet again. contact your lender and discuss a short sale or deed in lieu of foreclosure. in a short sale, a lender accepts a lower amount than the balance of the loan and forgives the deficiency balance. a short sale or deed in lieu of foreclosure must be approved by the lender. rent a room. consider renting a bedroom (and preferably a bath) of your house to a paying roommate. a lot of students and young professionals who work two jobs or who work and go to school at same time are looking for affordable housing. it could be a win-win situation for both parties. you get extra rental income, you have someone else pitch in for bills, and you can deduct all of your rental expenses from your taxes. bankruptcy is the final option to consider if all others fail. see the bills.com article types of bankruptcy to learn more about your options. try to avoid foreclosure. however, if you are a california resident facing foreclosure, you need to understand the state’s recourse and non-recourse rules so you know what to expect. other states are non-recourse as well, but none use rules as intricate and complicated as california’s. if you would like to read more about mortgage refinance loans, i encourage you to visit the bills.com home refinance resources page. if you enter your contact information in the bills.com savings center at the right of the page, we can have several pre-screened mortgage brokers contact you to discuss the loan options available to you. 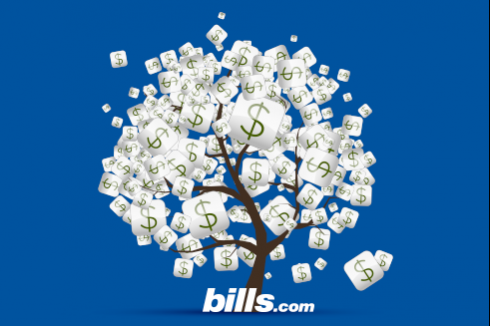 you should also visit the bills.com credit solutions page to learn more about credit, credit reporting, and ways to improve your credit score, which should help you qualify for better loan terms. i wish you the best of luck in finding a lender willing to work with you. I am in the process of buying a condo in Des Plaines, IL. Due to the current market I have decided to pay the asking price and did not wish to negotiate. I believe I am paying premium price and HOA is $465 month. I have recently found out that HOA only have $15,000 in reserves which is a major concern. I know no one can predict the future but what I am most concerned with is that after moving in if there is a major repair then I have to either shell out substantial amount or if my fellow neighbors opts to raise the HOA then it can go up to $500 to $600 depends upon the expense. My question is, in this situation can I re-negotiate the price with the seller? I have an attorney so is that something he would be responsible for or should I have to ask my real estate agent? I am not so sure if there are any contractual issues that may stop me to re-negotiate. I am not sure. Can you help/suggest? You wrote, "I am in the process of buying..." so it is unclear to me if you made an offer to purchase the property, or if you are still in the negotiation phase of the transaction. If you made an offer, and the seller accepted, then you cannot change the terms of the sale. However, there may be a cancellation clause in your contract. Share your concerns with your lawyer, and ask if you executed the contract. If so, ask what costs you will incur if you cancel the contract. One final thought: Almost everyone goes through a time of buyer's remorse. This is normal. I am not suggesting your concerns about the HOA are misplaced, but it should not surprise you to have second thoughts about any home you buy. Thank you so much!!! You certainly read my mind. I have already made an offer and even paid Earnest Money to the sellerâ€™s agent. When I shared my concern with the attorney I did not get any reply. So, I believed itâ€™s probably not under his mandate. He however replied to my questions that in the current process I am in, he believes I can back off and even get my earnest money back. Only loss I would be responsible for would be Appraisal, Inspections and of course attorney fees. So you believe, since offer is already made and even though I was not aware of the low reserve. There is no scope of negotiation? After reading all the posts leads me to believe that not only I am overpaying but when time comes to sell, I would loose big time. Market is improving day by day but the condo's in the same neighborhood was sold for 143K in later 2012. There was another condo which was recently sold but actual sale price is still unknown. Only positive I have is condos were sold for $199K back in 2000â€™s so if I stay in the place for 5-10 years then there might be a possibility I could sell for what I paid. Thank you so much for your help. It certainly is extremely helpful indeed. Return to your lawyer and ask him or her what your liability would be if you cancel the contract. Typically in real estate purchases, the time for negotiation is before and while you are offering to buy the property. Negotiating after the deal is signed is not effective, generally. However, if there is a contingency in the contract, such as a building or pest inspection, then the buyer has the option to withdraw from the contract without penalty if the inspection contains a surprise. Here, your "surprise" was the amount of reserves in the HOA's bank account. Was this one of the contingent inspections? If not, then I do not see a valid reason to withdraw from the contract without you losing your earnest money. However, I hasten to add I am not your lawyer, and I have not read your sales contract. As I mentioned, the best person to answer your legal questions is your lawyer. I did a modification in Jan 2010, with Litton loan..a year and a few months into it, I received an escrow statement that stated that Litton place force-placed insurance on our home. Our original payment was $1500/month, after the modification it went too $874/month...then with the force-placed insurance it went back yo too $1,300/month. Later that year Ocwen bought out Litton Loan, and we explained to Ocwen what Litton had done, they dropped the payment down by $60.00/month, but we continue to pay the high mortgage, and are three months behind, but have been keeping the payment under three months as to not get to the foreclosure state. Both my husband and I did not have a job,for quite some time, and finally we are both working, but still struggling. We do have an attorney for the forced placed insurance, and in process of being in litigation. I am trying to find an attorney that would help us with the principle mortgage forgiveness program, but have had a lot of strange people calling and asking for outrageous money, etc. Can you help? I recommend that you continue to work with your attorney regarding the force-placed insurance issue. Regarding principal forgiveness, you are right to be very wary of anyone asking for money to help you. I suggest you start by calling HOPE NOW, a federal housing counselor, at 888-995-4673. Also, read our page about NACA. They can sometimes assist with principal reduction. I do not know enough about your situation to comment meaningfully. Consult with your mortgage servicer to learn if the loan qualifies for HARP. You mentioned the existing loan is not in your name. Therefore, I will guess the loan is not assumable. (I'm making a big inference by saying that, and you need to learn for certain whether you can assume the loan.) You may need to start from scratch and qualify for a loan on your own. I do not have a Freddie Mac or Fannie Mae loan, I believe it is Residential Funding corp. I have good credit, 705. I pay my payments on time. I owe about $230,000 , but my house is worth 210,000 - 220,000. I have checked with about 4 or 5 different people now and they want me to come up with $20,000. OK, if I had $20,000 laying around, I probably would not need to refinance. Any suggestions? Residential Funding Co. and GMAC Mortgage are parts of Residential Capital, or ResCap. Ally Financial, which changed its name from GMAC Financial Services in 2009, owns ResCap and and GMAC Mortgage. Ally filed chapter 11 bankruptcy for its ResCap business unit in May 2012. As of this writing, US taxpayers own about 75% of Ally Financial due to bailouts that occurred during the mortgage meltdown. ResCap owns approximately 2.4 million consumer mortgages. GMAC Mortgage services mortgages, but does not own the security. GMAC Mortgage may be your servicer, but Fannie Mae or Freddie Mac may own your loan's security. Double-check your assumption about ResCap owning your loan's security by checking the Fannie Mae and Freddie Mac Web sites to see if either own your loan. If either do, look into a HARP 2.0 refinance. If you do not qualify for HARP, then you have two options. One you already mentioned. Your second is to lobby your congressional representatives to pass the so-called HARP 3 law that would allow refinances for people in upside-down homes who have loans owned by someone other than Fannie or Freddie. The last idea, getting a personal loan to cover the deficiency, is the most creative. But this loan still gets you to the same place — explaining to the loan officer why your DTI is so high, or explaining why you defaulted on that loan. I commend your real estate agent's creativity. I just do not see how you can qualify for a loan immediately given the after-effects of a loan default. With any option you choose, I just do not see a way for you to emerge from a sale of this home with your credit score intact.